Featuring new Raindale Garwood Greenhouse on 50L special for Fly Buy Friday. Para que voy a dejar de estar contigo, y abandonar todos los sueños vividos? Para que de nuevo intentare olvidarte y luchar contra mi mismo y derrotarme? Para que voy a negar mi Amor Secreto, si se nota que te amo hasta en el viento? ■ Greenhouse - Raindale by Keira Lans - New & Sale! Garwood Greenhouse. *On sale for just 50L ‖‖ Copy/Modify/No transfer ‖‖ 12x8 Footprint and Land impact of 38 ‖‖ Comes with a hud for the tinting of wood, floor, back wall, door and glass section ‖‖ Transparency of the glass can be adjusted with the hud ‖‖ Build is fully linked with no rezzer ‖‖ Scripted door with Kooldoor system ‖‖ Flickr Ad Picture. 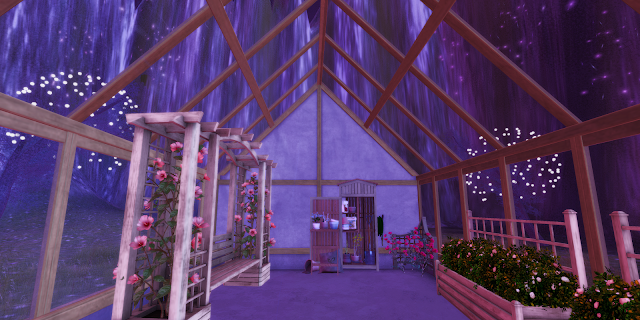 ✉ Raindale: Mainstore ‖‖ Marketplace ‖‖ Facebook ‖‖ Flickr ‖‖ Flickr Group ‖‖ Blog. ■ Flower buckets: Flower buckets for 50L - Buy it on Marketplace or Inworld. 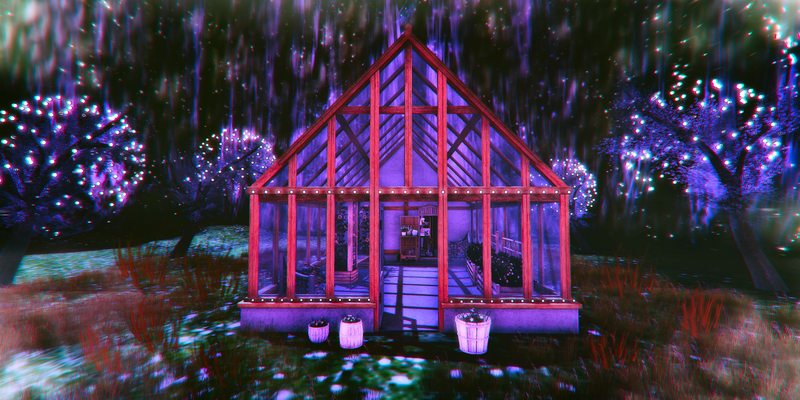 ■ Trees: Garden Tree with color hud for 150L - Buy it on Marketplace or Inworld. ■ Lights: Pixel Mode by Tya Fallingbridge - Outdoor Lights Kit. ■ Shed: Chez Moi by Nandavic Marjeta - Garden Shed Green. ■ Flowerbeds & Arbor: Myth by Shay McAuley - Trellis Collection.